There is a review of the most anticipated games for 2013, with a small selection of the best that we can enjoy next year with a remote and a mouse in hands . The king of the crown and wins the undisputed first place in the list. Talk about a title in the series Grand Theft Auto and is too big in itself, but if you also take a look at the images and information that are published for looking up through the roof. One of the things that Rockstar has always known how to do is leave a reasonable space of time between delivery and delivery (just the opposite of what makes Activision with Call of Duty) and the time of rest and assimilation of market trends video games you are going to lay a blast to Grand Theft Auto V .
For those who fell in love with the city of San Andreas in GTA IV but they missed planes and for all who enjoyed Red Dead Redemption and the incredibly alive and diverse environment, GTA V is a return to these origins leveraging developments the company has introduced over the years. Thus the city seem more alive than ever, airplanes, motorcycles, gliders, bathyspheres and related vehicles back on stage and all packaged in a map as Rockstar will be bigger than San Andreas, GTA IV and Red Dead Redemption all together . 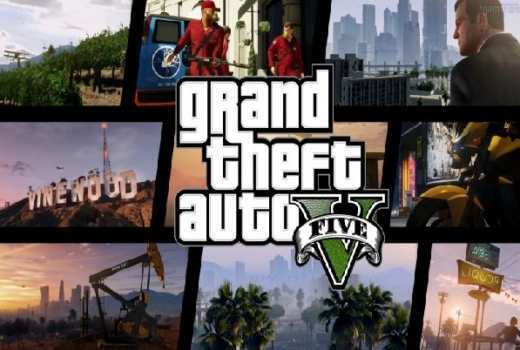 Grand Theft Auto V is not only one of the most anticipated games for 2013, but can it become the perfect finale to the saga that leaves the current generation of consoles. Missing just a few months that we will certainly receive more details and images of the game, we must be very, very careful. The saga of Gears of War , probably together with that of Halo , has been one of the reasons for the success of the Xbox 360 and one of the exclusive titles that has accompanied over the years. After revolutionizing the genre with a spectacular cover system and to dismiss the original trilogy with Gears of War 3 for a server that is the best he has played in this consla, the series changes hands and development studio (People Can Fly) with Gears of War Judgement , a prequel to what occurred in the first 3 games. Gears of War Judgement will put us in the shoes of a new squadron, the squadron Kilo, in front of which are two old acquaintances: Damon Baird and Augustus Cole. The new roles we move to the events of the day after the emergency, with the Locust plague the planet Sera and a story that bugs enormous betrayals and shake hands. In addition, the impeccable multiplayer Horde mode is given an extra twist is introduced Overrun mode where we can also put in the place of the Locust and annihilate Gears few. Release Date : March 19, 2013. After Uncharted , it is difficult for Naughty Dog says it will launch a new game and that this does not place as one of the most anticipated games for 2013. If you also accompanies a gameplay video that take your breath away and a story that seems very promising, acquire expectations meteoric proportions. The Last of Us will also squeeze the power of the PlayStation 3, for the title will be exclusive , the optimum and redefine, or so promises, and what a campaign should be a story mode. The Last of Us puts us in a post-apocalyptic world, dark, complex characters and are desperately trying to do anything to survive. It also explores the zombie genre supported on survival horror. Books and movies like The Road and No Country For Old Men have inspired to develop the plot and scenarios. A cocktail that mixed and stirred well with the good work of Naughty Dog is unlikely to go wrong, and no doubt we are keen to get their hands on. Everything is connected. That’s the premise of that part Watch Dogs , a game that reminds other titles of the genre and some series as Person of Interest but excels by having a graphic section spectacular house brandUbisoft and a story behind us possibilities put the long teeth. Watch Dogs In hack we basically any electronic device with which we meet along our private exploration around the city and use it to our advantage. Define to Watch Dogs however as a sandbox for hackers is an understatement . The possibilities that gives us access to absolutely all the information that flows through CTOs, the operating system that manages the city fictitious, will we have to solve different tasks in a creative and very well assess the environment and their ability to exit successfully same. Hackers, surveillance, a frame height and much hype are the best ways to define who is another of the most anticipated games for 2013, and in its own right. Any player worth his salt will remember the experience fondly supposed to play Bioshock for the first time. The gameplay, the setting, the story, the sets submarines and sinister characters changed many things in the history of video games. After a Bioshock 2 that many finally convinced us not at all, in Bioshock Infinite spent on the seabed to just the opposite, the floating city of Columbia. Dystopian frames, mutations, plasmids and interaction with the environment as Bioshock features are also part of this new release, but Irrational Games have confirmed that belongs to the same universe of the first two. It will come with some extra too mildly interesting, such as support for PlayStation Move, but basically the premise is Bioshock Infinite to repeat the play round was the first Bioshock . We will not have to wait long to enjoy it, because it will be the first to reach all those who make up the list. Release date : February 26. As said earlier, there are many games that have been at the gates and they also deserve special mention such as Crysis 3 , God of War: Ascension , DmC Devil May Cry and Dead Space 3 will also certainly plenty to talk about. Do you like list of most anticipated games of 2013? Posted by Ibrahim on December 27, 2012. Filed under Articles, Entertainment, Games. You can follow any responses to this entry through the RSS 2.0. You can skip to the end and leave a response. Pinging is currently not allowed.